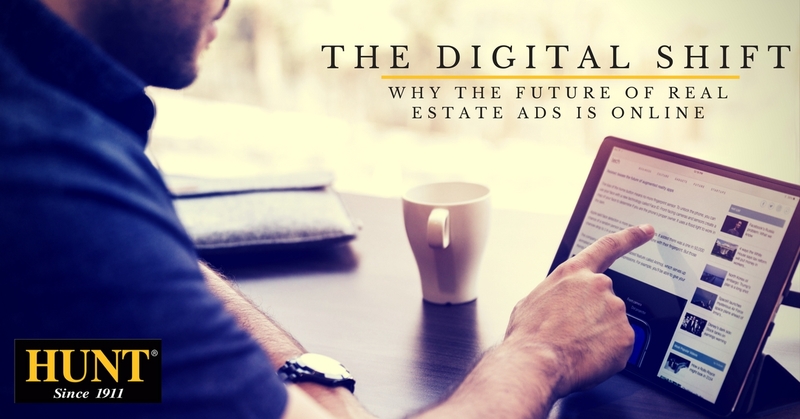 There’s no denying it: the future of real estate advertising is digital. For years, real estate sales professionals have been moving away from traditional mediums like print ads and hopping onto digital listing sites and social media networks to showcase their homes for sale. This digital shift is evident in the real estate trends and stats we’ve been seeing over the past year. The success of online real estate websites demonstrates how both buyers and sellers are heavily utilizing online mediums for their real estate advertising. In fact, just this past quarter, Zillow reported a record 1.68 billion total visits (total number of times the site was viewed, regardless of how many visitors), with 187 million of those being unique users (distinct individuals that make up the total visit number). Zillow isn’t the only real estate website posting record numbers either: Realtor.com also reported over 55 million unique users per month for their fiscal fourth quarter, with about 50% of those visiting from a mobile device. Even Facebook is getting in on the real estate game. Back in August, Facebook introduced Dynamic Ads for Real Estate. Realtors can upload information regarding a home they have for sale for (photos, address, home information, price, availability) and create an ad in Facebook. Facebook then uses the manually entered information and combines it with a user's browsing history to determine if Facebook will show the home ad on a user's Facebook and Instagram feed. The ads link to the realtor’s site or app. With so much emphasis on digital marketing, how do you navigate it all? It’s simple: use a real estate agent with the professional training and knowledge to effectively market your home online. Every HUNT real estate professional is educated and equipped with the tools to place your home online quickly, efficiently, and accurately. This ensures that each and every house is promoted and visible to potential buyers. Contact us to learn more about HUNT’s digital marketing plans for your listing.